American politicians are touting a future of robust domestic oil production. There’s just one problem: our planet won’t allow it. Once this surge in US energy production was linked to a predicted boom in energy from Canada’s tar sands reserves, the results seemed obvious and uncontestable. “North America,” he announced, “is becoming the new Middle East.” Many other analysts have elaborated similarly on this rosy scenario, which now provides the foundation for Mitt Romney’s plan to achieve “energy independence” by 2020. By employing impressive new technologies—notably deepwater drilling and hydraulic fracturing (or hydro-fracking)—energy companies were said to be on the verge of unlocking vast new stores of oil in Alaska, the Gulf of Mexico and shale formations across the United States. “A ‘Great Revival’ in US oil production is taking shape—a major break from the near 40-year trend of falling output,” James Burkhard of IHS Cambridge Energy Research Associates (CERA) told the Senate Committee on Energy and Natural Resources in January 2012. Consider this: while many analysts and pundits joined in the premature celebration of the new “golden age,” few emphasized that it would rest almost entirely on the exploitation of “unconventional” petroleum resources—shale oil, oil shale, Arctic oil, deep offshore oil and tar sands (bitumen). As for conventional oil (petroleum substances that emerge from the ground in liquid form and can be extracted using familiar, standardized technology), no one doubts that it will continue its historic decline in North America. Shale oil, for instance, is oil trapped in shale rock. It can be liberated only through the application of concentrated force in a process known as hydraulic fracturing that requires millions of gallons of chemically laced water per “frack,” plus the subsequent disposal of vast quantities of toxic wastewater once the fracking has been completed. Oil shale, or kerogen, is a primitive form of petroleum that must be melted to be useful, a process that itself consumes vast amounts of energy. Tar sands (or “oil sands,” as the industry prefers to call them) must be gouged from the earth using open-pit mining technology or pumped up after first being melted in place by underground steam jets, then treated with various chemicals. Only then can the material be transported to refineries via, for example, the highly controversial Keystone XL pipeline. Similarly, deepwater and Arctic drilling requires the deployment of specialized multimillion-dollar rigs along with enormously costly backup safety systems under the most dangerous of conditions. All these processes have at least one thing in common: each pushes the envelope of what is technically possible in extracting oil (or natural gas) from geologically and geographically forbidding environments. They are all, that is, versions of “extreme energy.” To produce them, energy companies will have to drill in extreme temperatures or extreme weather, or use extreme pressures, or operate under extreme danger—or some combination of all of these. In each, accidents, mishaps and setbacks are guaranteed to be more frequent and their consequences more serious than in conventional drilling operations. 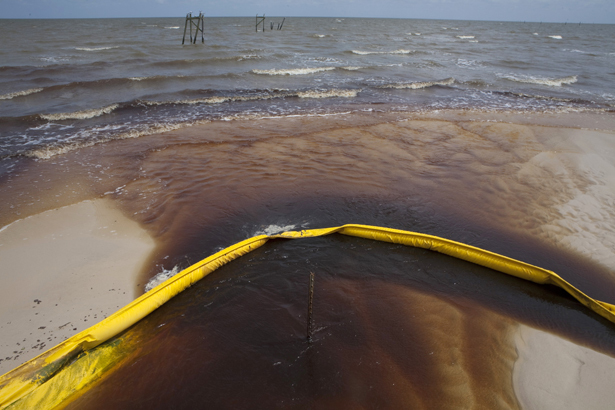 The apocalyptic poster child for these processes already played out in 2010 with BP’s Deepwater Horizon disaster in the Gulf of Mexico, and this summer we saw intimations of how it will happen again as a range of major unconventional drilling initiatives—all promising that “golden age”—ran into serious trouble. Perhaps the most notable example of this was Shell Oil’s costly failure to commence test drilling in the Alaskan Arctic. After investing $4.5 billion and years of preparation, Shell was poised to drill five test wells this summer in the Beaufort and Chukchi Seas off Alaska’s northern and northwestern coasts. However, on September 17, a series of accidents and mishaps forced the company to announce that it would suspend operations until next summer—the only time when those waters are largely free of pack ice and so it is safer to drill. Another unexpected impediment to the arrival of energy’s next “golden age” in North America emerged even more unexpectedly from this summer’s record-breaking drought, which still has 80 percent of US agricultural land in its grip. The energy angle on all this was, however, a surprise. Any increase in US hydrocarbon output will require greater extraction of oil and gas from shale rock, which can be accomplished only via hydro-fracking. More fracking, in turn, means more water consumption. With the planet warming thanks to climate change, such intensive droughts are expected to intensify in many regions, which means rising agricultural demand for less water, including potentially in prime fracking locations like the Bakken formation of North Dakota, the Eagle Ford area of West Texas, and the Marcellus formation in Pennsylvania. In the United States, opposition to tar sands has until now largely focused on the construction of the Keystone XL pipeline, a $7 billion, 2,000-mile conduit that would carry diluted tar sands oil from Hardisty, Alberta, to refineries on the US Gulf Coast, thousands of miles away. Parts of the Keystone system are already in place. If completed, the pipeline is designed to carry 1.1 million barrels a day of unrefined liquid across the United States. Even if Keystone XL were in place, the golden age of Canada’s tar sands won’t be in sight—not without yet more pipelines as the bitumen producers face mounting opposition to their extreme operations. As a result of fierce resistance to Keystone XL—led in large part by TomDispatch contributor Bill McKibbenthe public has become far more aware of the perils of tar sands production. Resistance to it, for example, could stymie plans to deliver tar sands oil to Portland, Maine (for transshipment by ship to refineries elsewhere), via an existing pipeline that runs from Montreal through Vermont and New Hampshire to the Maine coast. Environmentalists in New England are already gearing up to oppose the plan. If the US proves too tough a nut to crack, Alberta has a backup plan: construction of the Northern Gateway, a proposed pipeline through British Columbia for the export of tar sands oil to Asia. However, it, too, is running into trouble. Environmentalists and native communities in that province are implacably opposed and have threatened civil disobedience to prevent its construction (with major protests already set for October 22 outside the Parliament Building in Victoria). While output from unconventional oil operations in the United States and Canada is likely to show some growth in the years ahead, there is no “golden age” on the horizon, only various kinds of potentially disastrous scenarios. Those like Mitt Romney who claim that the United States can achieve energy “independence” by 2020 or any other near-term date are only fooling themselves, and perhaps some elements of the American public. They may indeed employ such claims to gain support for the rollback of what environmental protections exist against the exploitation of extreme energy, but the United States will remain dependent on Middle Eastern and African oil for the foreseeable future. Of course, were such a publicized golden age to come about, we would be burning vast quantities of the dirtiest energy on the planet with truly disastrous consequences. The truth is this: there is just one possible golden age for US (or any other kind of) energy and it would be based on a major push to produce breakthroughs in climate-friendly renewables, especially wind, solar, geothermal, wave, and tidal power.